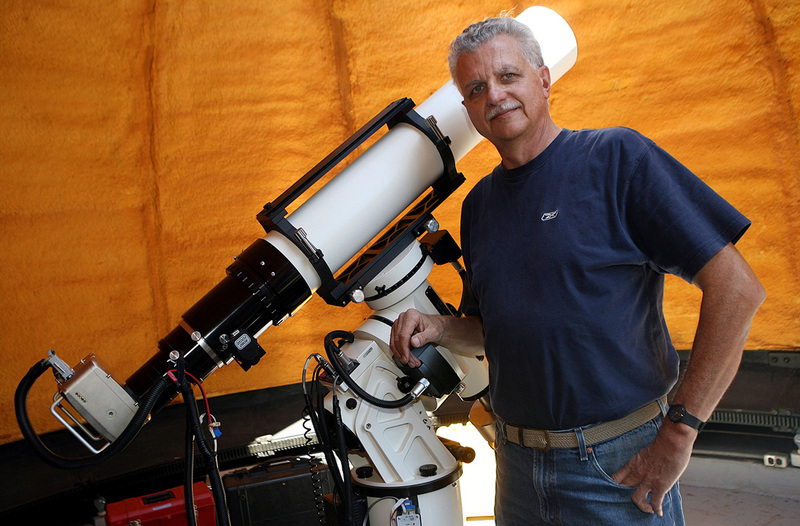 Inside the historic Cooke Dome at the Mount Wilson Observatory with my equipment setup used to discover the Soap Bubble Nebula PN G75.5+1.7. 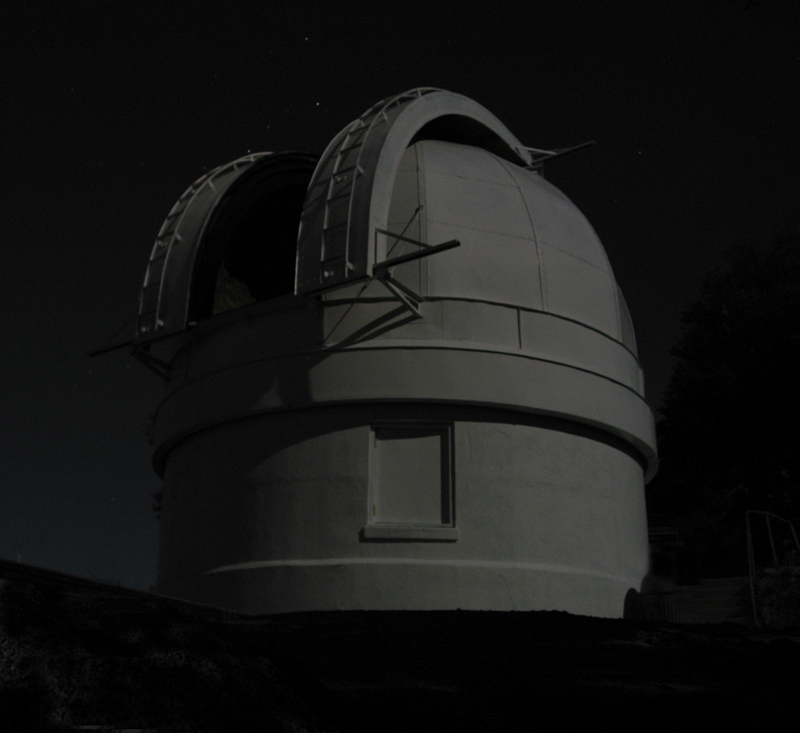 level below the observing floor, allowing for“remote” operation of the telescope, mount and camera. 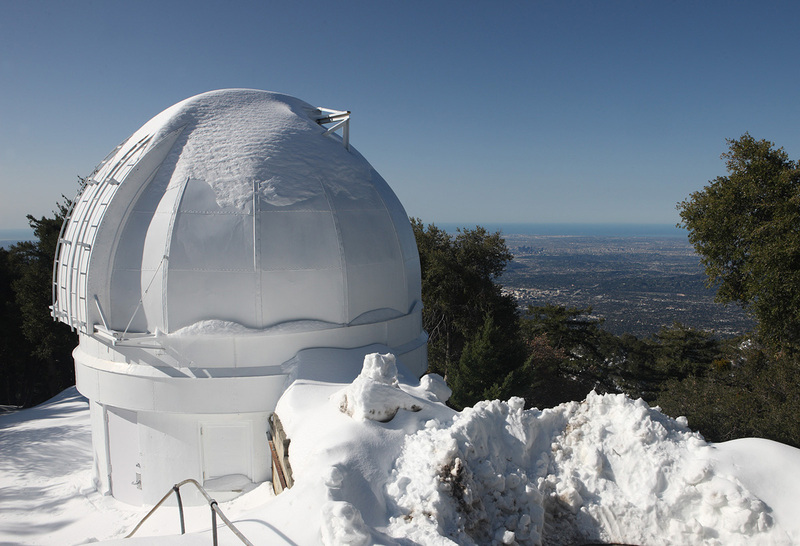 The Cooke Dome is located on the steep ridge heading south to the Monastery, the Mount Wilson Observatory's home away from home for visiting astronomers. venerable and highly prized work. At a somewhat later date (around 1914), a near knock-off of the 10" Bruce Telescope known as the Cooke Telescope was housed in is dome. determine the center of the Milky Way and give mankind its first views of the center of our galaxy. including the Jet Propulsion Laboratory (JPL) of the California Institute of Technology (Caltech). air miles away to the south. At 5700 feet elevation in a beautiful coniferous and oak forest, it's sometimes hard to believe your so close to Los Angeles.